Summary: Side Pike which is located in Great Langdale does not appear in any of Wainwright’s Pictorial Guides, it was a fell that he considered for inclusion as he listed it on both his first and second draft lists, due to the fact that the fell was a named and measured height on his 1 inch O.S. and Bartholomew maps. The height given was 1187′. However, Side Pike was omitted from the Pictorial Guides for possibly a couple of reasons, firstly, whilst the “pike” does have a pronounced summit which is attractive from many angles and is a great location for admiring the reaches of upper Great Langdale, it has little else going for it in the way of routes of ascent or points of interest. Secondly, when writing the fouth Pictorial Guide- The Southern Fells, Wainwright mentions that the book is full to capacity so every fell chapter had to earn it’s place. It can be seen that in the Lingmoor Fell chapter (pages 3 and 4) Side Pike is really a protuberance on the western ridge of that fell and was easly covered in that chapter. Topographical details: The height has now been recalculated as 1188′ 362m with the summit GR: NY29308 05370 which is marked by a rock platform shown below and can be clessed as the Wainwright summit. Any small cairn that sits on this rock is not a permanent feature but there is a larger cairn close by on a lower level. Points of interest: It is well worth ascending on a fine day in late summer when the heather is in full bloom, the views of Crinkle Crags, Bowfell and the Langdale Pikes are impressive. On the eastern side of Side Pike is a rock feature known as “The Squeeze” or “Fat Man’s Agony”, a large vertical flake of rock which is seperated from the fell’s rock face by a small gap. 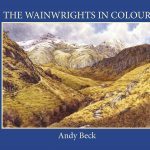 Wainwright didn’t know of this feature when writing the book so it is not mentioned in his original guide nor the revised guide by Chris Jesty. A warning though, the gap is narrow and lives up to it’s name, it can be bypassed with a little effort. The nearby Blea Tarn is a delightful location. Adjoining fells: Lingmoor fell to the south-east is reached by a ridge. Nearest facilities: Car parking at The Old Dungeon Ghyll (NT) or at Blea Tarn Car Park (NT) Food, pub and acommodation at The Old Dungeon Ghyll Hotel NT campsite at foot of fell in Great Langdale. Star rating: (2 / 5) Rating is given on the fell’s prime location and views. Include Side Pike and Lingmoor Fell together on a walk to make a more interesting and enjoyable outing. I love the attention to detail here, this informative description alone has intrigued me enough to want to check this minor Fell out when next in the Langdales – one of my favourite places. This new series is off to a great start. Well done Andy. 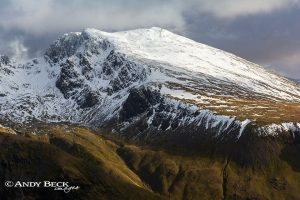 Thank you Chris, it may take a while to get all the fells listed on the website but it is certainly a intriguing project.